Get cashback up to 14% for all your online shopping at Groupon, Ensogo, Lazada, Zalora, Foodpanda, AirAsia, Expedia and many more! Click here to sign up and enjoy cashback discount. The more you spend the more you save through cashback! Biasiswa JPA PIDN or JPA PIDN Scholarship is sponsored by the Public Service Department to Malaysian citizens who are currently pursuing their Diploma and First Degree studies at selected IPTAs, Universiti Tenaga Nasional (UNITEN), Universiti Teknologi Petronas (UTP) and Universiti Multimedia (MMU). Recipients of this JPA Scholarship will be bonded to serve the government for a particular period depending on the courses and disciplines taken. Otherwise, compensation claim will be charged by the Public Service Department (PSD) of Malaysia. Has completed at least one ( 1 ) semester of study or have a remaining duration of not less than one ( 1 ) year. Application received after the closing date will not be entertained. 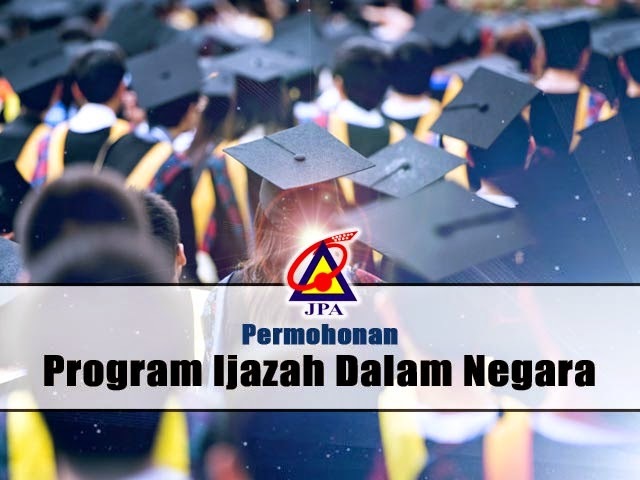 The result of this JPA PIDN Scholarship (semakan keputusan permohonan biasiswa JPA PIDN) is expected to be released in July 2015 via http://esilav2.jpa.gov.my. Read more info on frequently-asked-question (FAQs), syarat-syarat permohonan and discuss JPA scholarship application with other applicants on this forum post. Ask question and get fast reply from your seniors and scholarship holders at SPM Student Malaysia online forum.